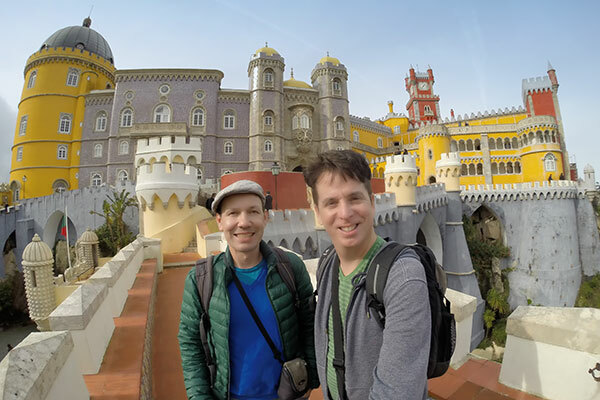 Lisbon is prime territory for people like us, devoted castle hunters who long for turrets and palatial grandeur. The moment we arrived in the city, the impressive stone walls of the Moorish Castle San Jorge looming over the city announced we had come to the right place. The capital of Portugal and the surrounding region boast so many extraordinary fortresses, palaces and royal villas that you can literally spend weeks bouncing from one to another. Actually, psycho architecture junkies that we are, we did just that. 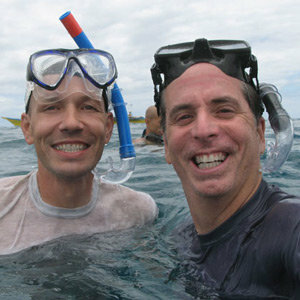 What surprised us most was the diversity of what we found. You can literally go to every castle because they are each so unique, so different from one another. 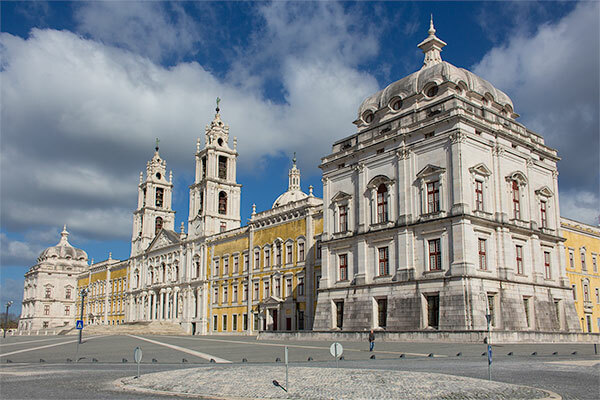 We were blown away by the scale of Mafra, a palace we had never even heard of before. And thrilled to discover the underground passages and cave labyrinth of Quinta da Regaleira, a symbologist’s dream. If you are short on time, head straight for Sintra, a beautiful town shrouded in lush forest. Try to devote at least two full days for Parques de Sintra (we spent three) because there is a HUGE amount to see. Disclosure: We were provided free entrance to the castles in this post/video. However, all of the opinions expressed here are our own. This is perfect. I’m going to Portugal next month and I was feeling overwelmed by the choices in Lisbon. It’s really useful to be able to see a little of each castle. Hey guys. What made you finally start talking in this video? You usually just have music. Normally, we don’t like to fill the video with a bunch of talking, but we have had a lot of people request that we narrate our content rather than attaching them to articles. We thought we would experiment a bit to see the response. Don’t worry, we will still do videos which focus on visuals, too. Love your Instagram account, saw your comment on this video, looks great, I’ll definitely keep watching.